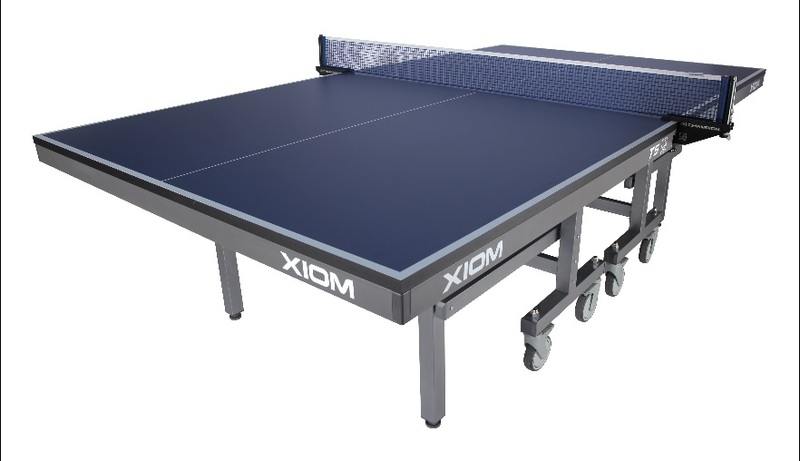 Professional and Recreational tables for sale. Youngers rule the roost. Spicy Chipotle is USATT approved. 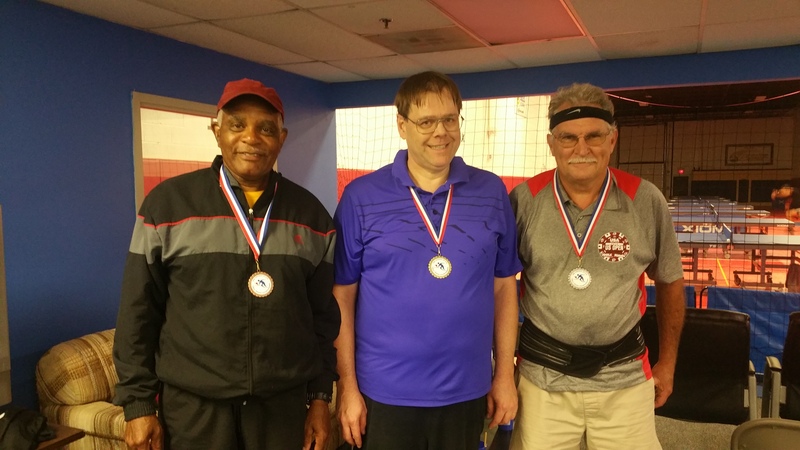 The 2017 Virginia State Table Tennis Championships wrapped up on Sunday 4th June after 2 days of fierce competition with youngsters giving their older counterparts a tough time. In the Men’s competition at the semi-final stage Louis Levene landed virtually all of his shots without any unforced errors to overcome his father by a margin of 4 games to 1. Despite Rajul putting forth a strong effort Allen Lin was too strong, serving, flipping and power looping his way into the final. The Men’s final would be a repeat of pool play where Allen defeated Louis by a margin of 3-games-to-1. With exciting away from the table rallies Allen showed better consistency to take the first 2 games. For the next 2 games Louis was able to land many extraordinary huge shots to level the match at 2-2. In games 5 and 6 Louis’s consistency faltered under increasing pressure from Allen’s non-stop ferocious attacks. No doubt these were powered by a spicy Chipotle lunch. The youngest tournament referee in the country Tyler Hess, declared lunch to be fully USATT legal and Allen ran out a 4-2 winner to retain his title as Virginia State Men’s Champion. In the 3-4 playoff, Michael’s hit his stride and form, looping from both wings with extreme spin and consistency. Rajul put up a good fight but was unable to contain Michael’s shots and trailed from the start of each game through to the end. Michael secured bronze & now has the dubious honor of finishing 3rd at the State Men’s Championships for the 3rd year running in 3 straight games. In the Women’s event 3 talented youngers, Jie Lu, Michelle Kang, Nicole Deng and a more experienced Jeeranan (Lana) Sangsinchai reached the semi-final stage. Jie with a powerful short pimples time pressure game was too fast for Lana winning comfortably 3-0. Similarly Nicole overcame Michelle without dropping a game. Onto the final and Jie was too strong for Nicole despite some good rallies, hitting numerous winners to rattle off 3 straight games and become the 2017 Virginia State Women’s champion. 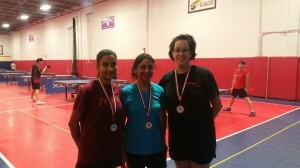 Experience outplayed youth in the 3-4 playoff with Lana winning 3-0 against Michelle for the Bronze. Ladies you are allowed to extend matches by a game-or-two for crowd entertainment and go to 4 or 5 games! 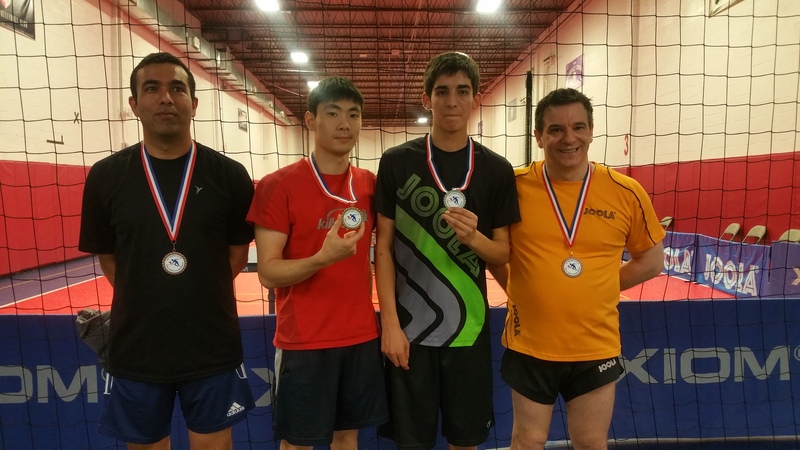 Probably the best match of the tournament was in open doubles where father and son Louis and Michael took on Allen and Jie. Despite entertaining rallies the first 2 games were owned by Allen and Jie. Father and son stepped up their attack landing multiple winners to level at 2-2 and then went on fire in game 5 barely missing to take a 3-2 lead. Allen and Jie responded with big winners to level the match at 3-3. Trading shots and points and the match boiled down to 9-9 in 7th game, at which point Allen took his chance and flipped killed 2 points to take the open doubles crown. Flip-to-victory outdid spin-to-win on this occasion. Jie aged 14 lifted a total of 3 titles. 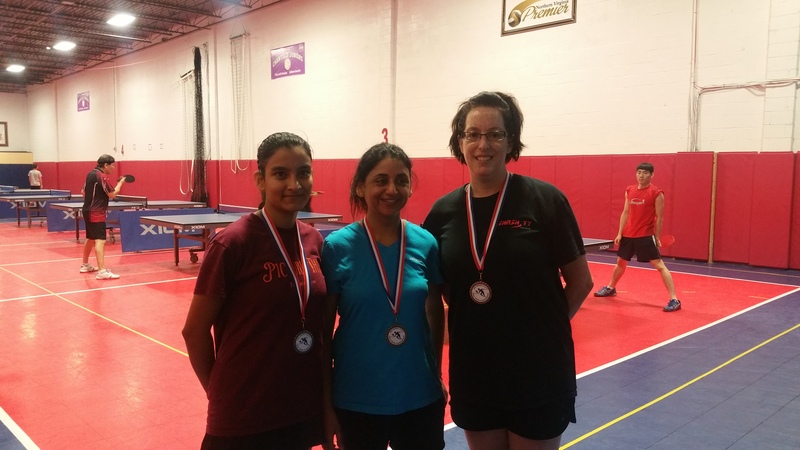 Juniors Under 18, Open Doubles and Women’s Doubles. She is going to be a force to recon with for many years to come. 2017 Rated Events State Champions are Rajul Kansara, Amol Kothari, Mahmoud Youssef, Nikhil Arora and the second chance Under 1000 winner was Mitchell Zhou. 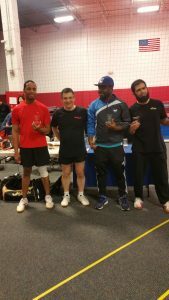 A field of 32 players gathered at Smash TT on Saturday 12th March 2017 to compete in our Winter Challenge 2 star open, a giant round robin event. The standard of play ranged from a rating of 750 all the way up to 2600. A preliminary 8 groups of 4 players were used to split players into two, 8 player A groups and two 8 player B groups. The top 2 players from each group advancing to semi-finals. In the B groups, the top 2 under 1000 also got an opportunity to continue their tournament, advancing to the C semi-finals. 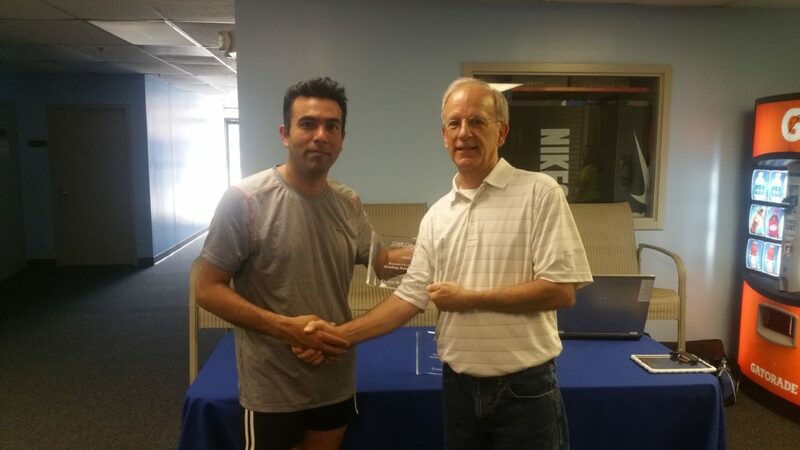 In the initial group, one single upset was recorded with Joey Levene who has not played in over 1 year beating Varun Dontula by a margin of 3 to 1. 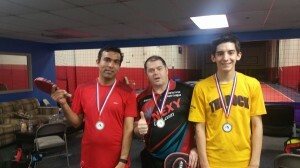 Joey and Varun finished 3rd and 4rd to advance to the B groups. In the first A group Bo Wen Chen (2592) dominated the group only dropping 1 game to Allen Shuran Lin (2287). 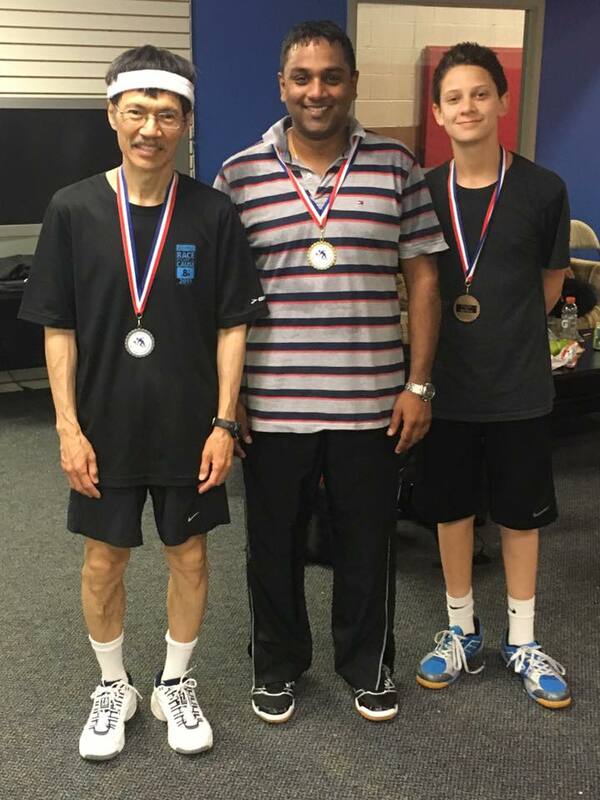 A 3-way tie for 2nd place occurred when William Huang upset the form book beating out Allen Lin 3-2 in a fast-paced looping encounter. Tiffany Ke (2190) beat William to force the 3-way tie and joined Bo Wen Chen in the semis courtesy of a superior games difference between the tied players. The only other upset was Max Label (1547) beating hall of famer Barbara Kaminsky (1638). No big surprises occurred at the business end of the second A group. There were many crowd pleasing exciting rallies however Lidney Castro (2492) and the very underrated Meshal Alduaig (2214) back after a six-year break from the game toped the group ahead of Smash TT club owner Michael Levene and his son Louis. 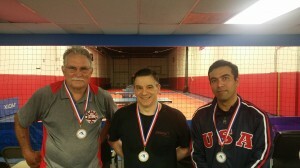 Frank Cristofaro, Graham Copp and Mikhail Merkulov all recorded upset wins over higher rated players. Down to the semi’s. 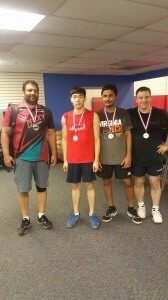 Good entertaining table tennis and rallies however Bo Wen and Lidney were simply too strong for Meshal and Tiffany. In the final both players exhibited stunning back hand and forehand loops from distance with a large crowd cheering them both on. Bo Wen proved to be too fast and too consistent landing a higher percentage of his attacks to run out a 4-1 winner and take home the $300 check, a $50 gift card from Pongmobile.com the winner’s trophy and a pongmobile.com T-shirt! Lidney received $150, a trophy and a T-shirt too. In the B final 9 year old youth overcame experience with simply more energy left in the tank after a long day’s play. Kay O’Hare a talented promising defensive player from Maryland, overcame a very tired Mahmoud Youssef by 3 sets to zero having lost in pool play to Mahmoud by the same margin. In the C final youth did not overcome experience with Ken Kraft showing true grit and determination to overcome Jeremiah Jeffrey by a margin of 3 games to 1. 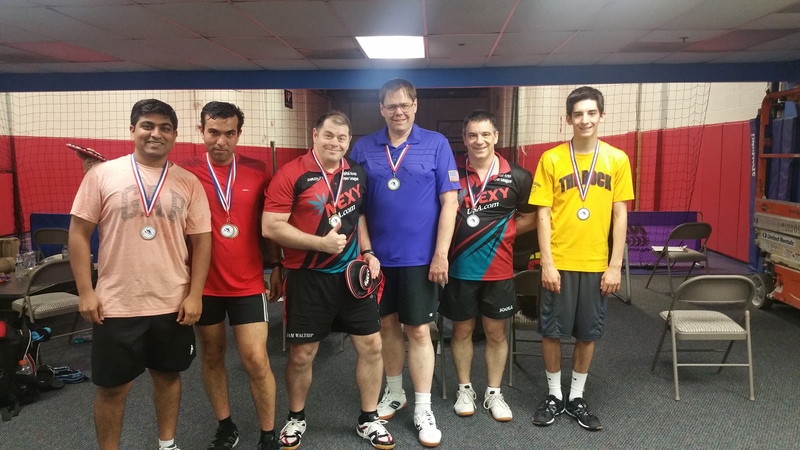 25 players gathered at Cassel’s Sport Complex in Herndon on Saturday 6th August 2016, home of Smash Table Tennis for the 2016 Sizzling Summer Open. 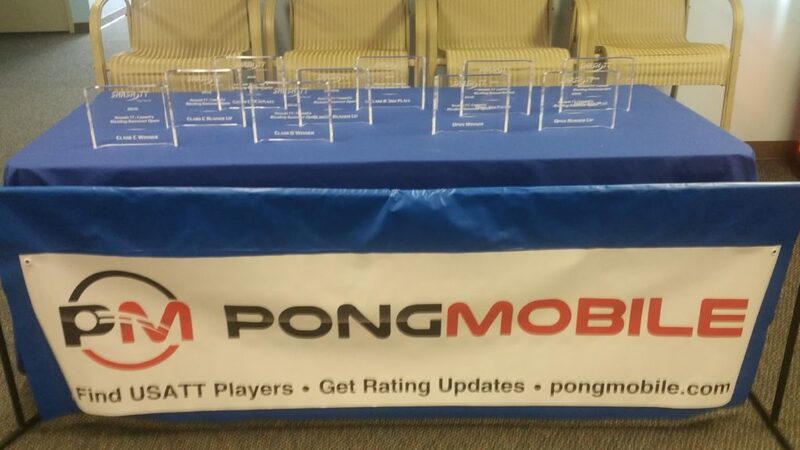 The event was sponsored by Pong Mobile. The competition was organized as a giant round robin event. 134 matches were played. With the exception of the seeds, participants played 11 or 12 matches in the 6 hour event. The top 4 seeds Khaleel Asgarali (2383), Sutanit Tangyingyong (2307), Bojun Zhangliang (2252) and Michael Levene (2154) were seeded straight into the Open Championship division. 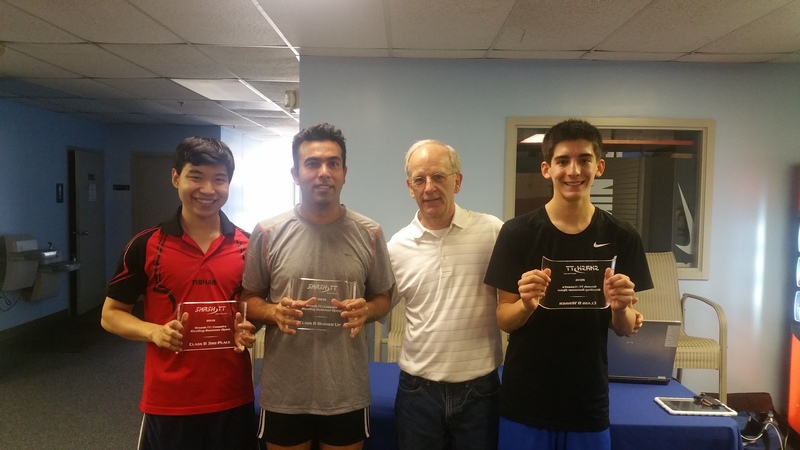 They were joined by preliminary group winners William Waltrip (1959), Gaurav Sharma (1838), Thomas Olausson (1815) and Daniel Gong (1802). Daniel and Thomas overcoming higher rated players in their initial groups to claim a spot in the top group. Despite the best efforts of the qualifiers fighting hard, the seeds dominated the group, dropping only 2 games against them. Khaleel who plays professionally in Prague, was in total control of the group overcoming all challengers 3-0 with the exception of a single stolen game by Michael. Against Bojun lightning fast forehand-to-forehand looping rallies were fitting of a great final. However, his 2-winged attack proved to be too consistent and too strong for the rest of the field. A solid performance, he was a worthy winner, collecting the $300.00 check and trophy for first place. 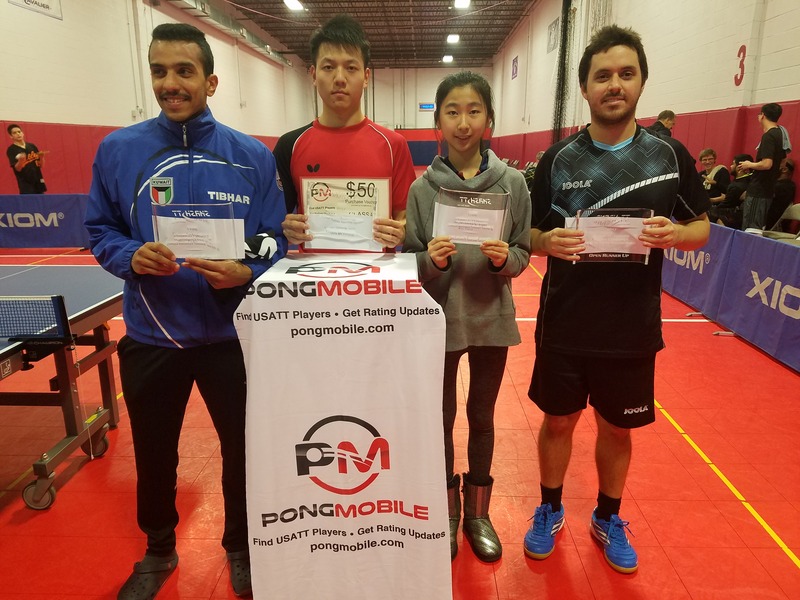 In the final match in the 8 player Class B group, the 2 undefeated players who were also the top seeds in the group played off for the title. Louis Levene overcame Rajul Kansara 3-1 by the finest of margins. Youth versus experience; can go either way but on this occasion youth won out. At critical points Louis’s ultra-fast reactions made the difference. 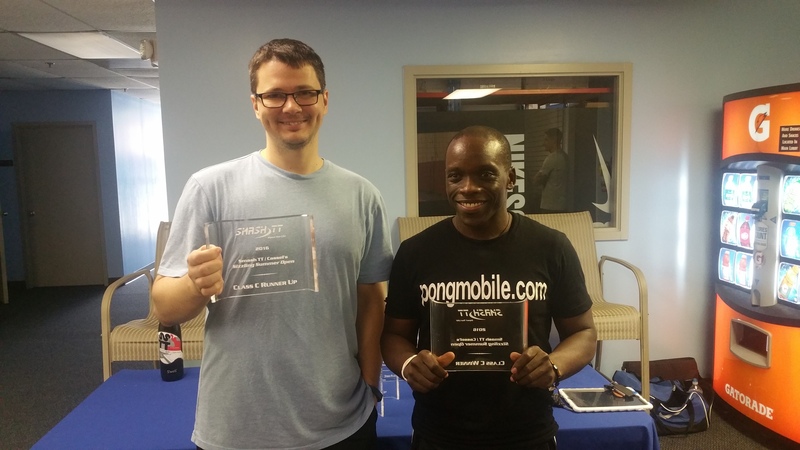 In Class C Mossa Barandao our sponsor from Pong Mobile claimed the trophy over Mikhail Merkulov. Both players on their day are great players who were not able to advance to Class B on this day, but were duly compensated with trophies to take home. A final note Appaiah Kuppanda (1389) had 5 great wins over players rated significantly higher at 1545, 1598, 1637, 1758 and 1807. Well done! On a good day anything is possible. The 2016 Virginia State Table Tennis Championships wrapped up on Sunday 5th June after 2 days of fierce competition with new champions being crowned in every category. In the Men’s competition, there were no surprises at the group stage with the top six seeds advancing to a single elimination. 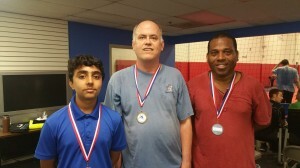 In the quarters Gaurav Sharma overcame Louis Levene and Vivek Velavutham Kand overcame Rajul Kansara; both matches being closely fought encounters. Semi-final #1, Gaurav put up a great fight with Allen Lin but Allen’s fast backhand and forehand spin attacks got the better of Gaurav. Vivek, a 24-year-old former top 50 men’s player from India and current Virginia Tech student, grew stronger as the day progressed. In the semi-final #2, he overcome Michael Levene 4-2 with the last 3 games all being at deuce. Vivek saved a game point at 2-2 and several more at 3-2 to close out the match. 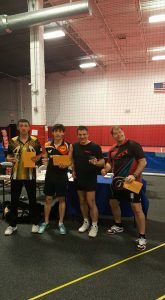 In the 3-4 playoff, Michael’s heavy topspin loops allowed him to run out a 3-0 winner with several entertaining loop & smash rallies. On to a great final worthy of a State Championship Gold Medal match. Several of the games were decided by a single point by full out winning shots at either 10-9 or deuce. Contrasting styles, Vivek with soft wrists, blocking and waiting for openings and then dispatching lightning fast winning shots; Allen swinging at full speed, looked to finish points quickly. In the end at the most critical moments Allen made shots that counted, and by a fine margin became the 2016 Virginia State Men’s Champion. Other events were just as keenly fought. 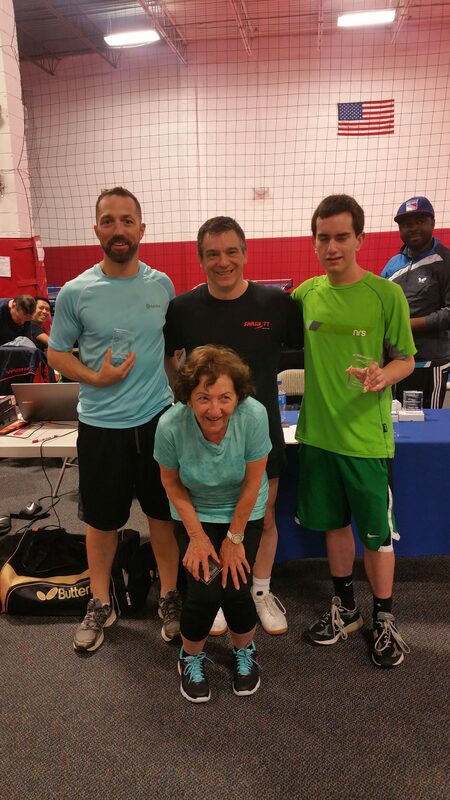 Sunila Dutt lifted the Women’s crown, William Waltrip and John Olsen paired and played well together to lift the doubles crown from the father and son team of Louis and Michael Levene. 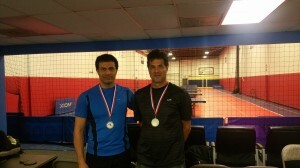 Michael won the 40 and 50 with John Olson winning the 60’s. 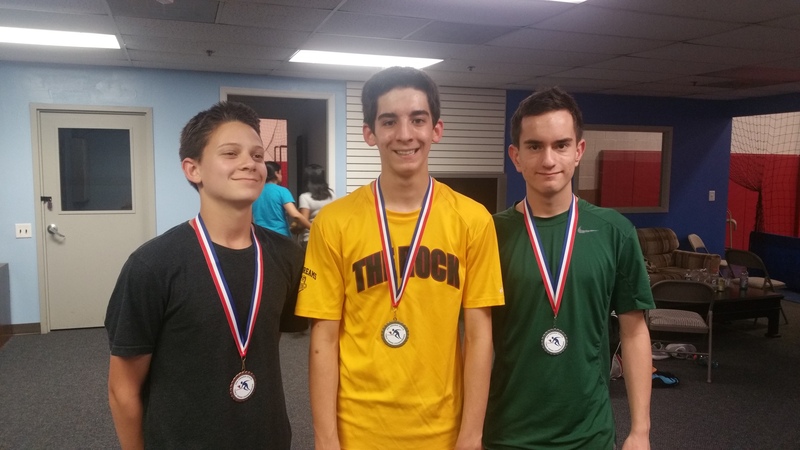 Louis Levene won the Juniors and Greg Hess, Tamim Rajendraw and William Waltrip won the 1200’s, 1600’s and 2000’s respectively. Something in the water, or perhaps the sight of shinny circular discs to wear around their necks; all players elevated themselves beyond their official ratings. Believe and anything is possible; even the improbable. Several big upsets occurred. Tyler Hess beat Max Labell in the junior event, Max being the Under 1600 bronze medalist. Tyler is over 600 rating points below Max. Ian Dominguez also pulled off several amazing victories, and will be compensated having finished 4th in 2 events by a guaranteed rating adjustment. He beat one player 550 points above his rating and another 481 above his rating. 37 players competed in the 2016 Cassel’s Giant Round Robin Tournament held in Herndon, Virginia the home of the new Smash TT. 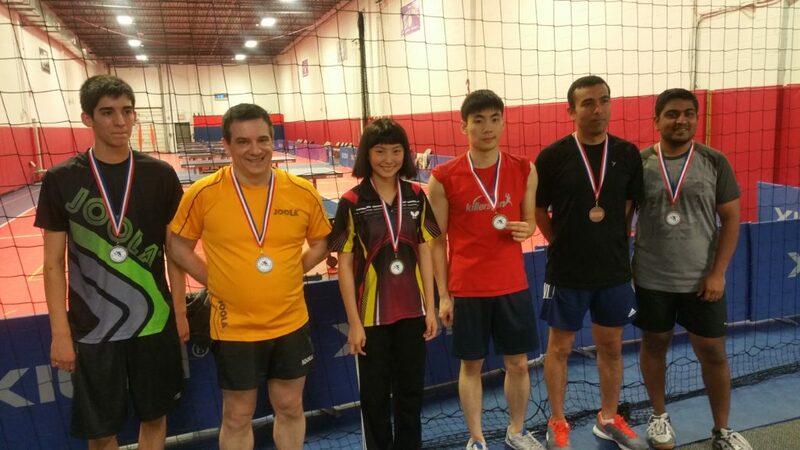 The tournament consisted of a preliminary phase, group phase and single elimination for Open, Class B and Class C. 219 matches were played in total; an average of 12 matches per participant. In the group phase there was only 1 significant upset which resulted in an Open and Class B player swapping places: Sameer Shaikh (1528) beat Vincent Adebayo (1613) in a closely fought encounter 12-14, 11-8, 11-9, 12-10. More on Sameer later, he was on fire! 2 open groups of 10 players were played on 6 tables. 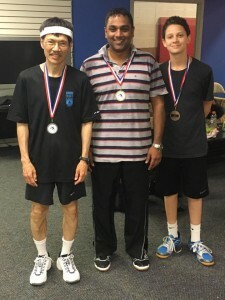 Group 1 was dominated by Bojun Zhangliang winning all his games, second was determined by a 3-way-tie between Madhu Diwakar (2005), William Waltrip (1922) and Kevin Zhou (1840) with William Waltrip advancing to the semi-finals on count back. Allen Lin (2245) and Michael Levene (2216) advanced out of the second open group. Allen remained unscathed. Michael somewhat off form, was defeated by both Allen and his son Louis Levene (1868). 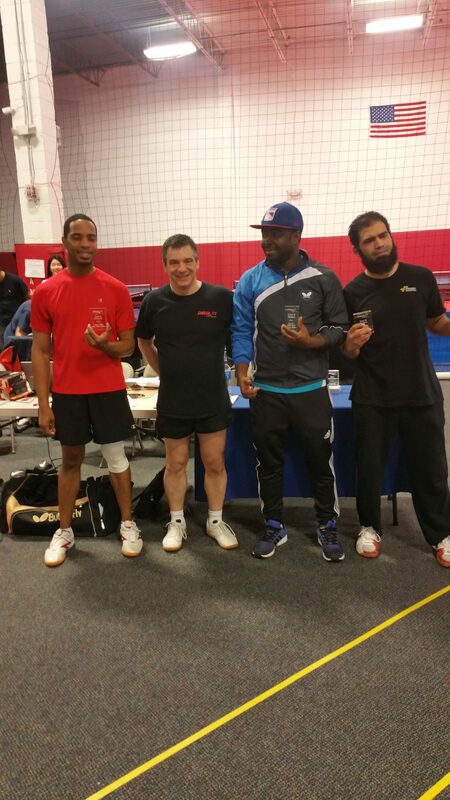 Sameer Shaikh played exceptional table tennis, securing 4 victories against players with much higher ratings. He is likely to receive a big adjustment to his rating once the results are processed. 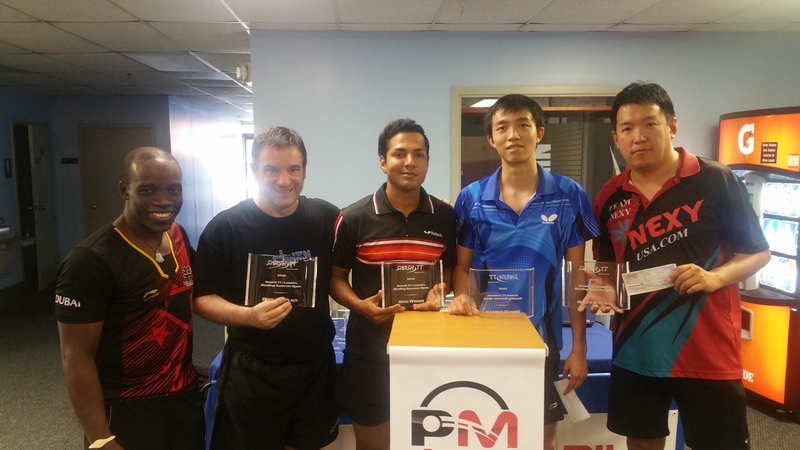 Men’s semi-finalists from left to right Bojun Zhangliang, Allen Shuran Lin, Michael Levene and William Waltrip. $495 in prizes was paid to this group. Email michael@smashtt.com for more information.